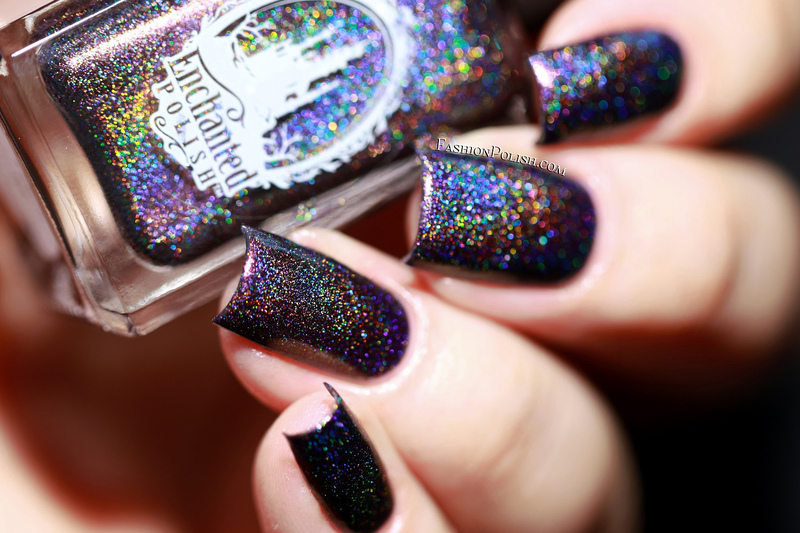 Fashion Polish: Enchanted Polish Prism of Darkness : introducing my collaboration color! 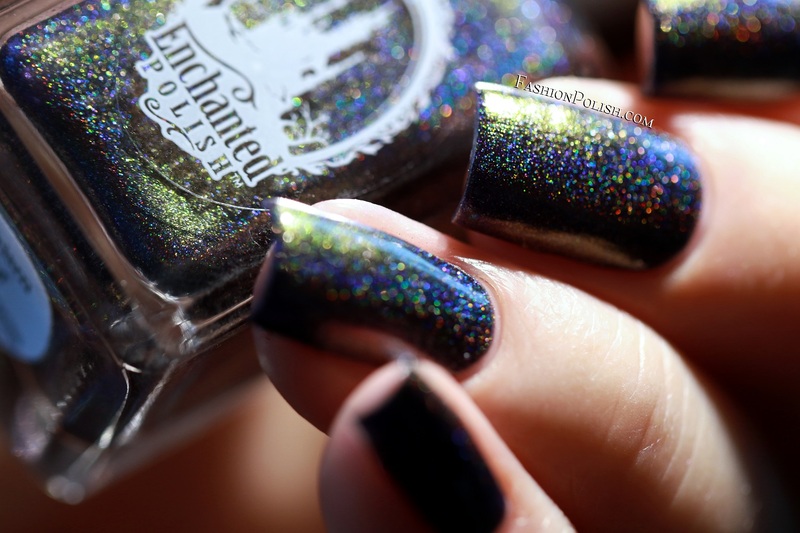 Enchanted Polish Prism of Darkness : introducing my collaboration color! Six years ago today, I finally worked up the nerve to venture into blogging. 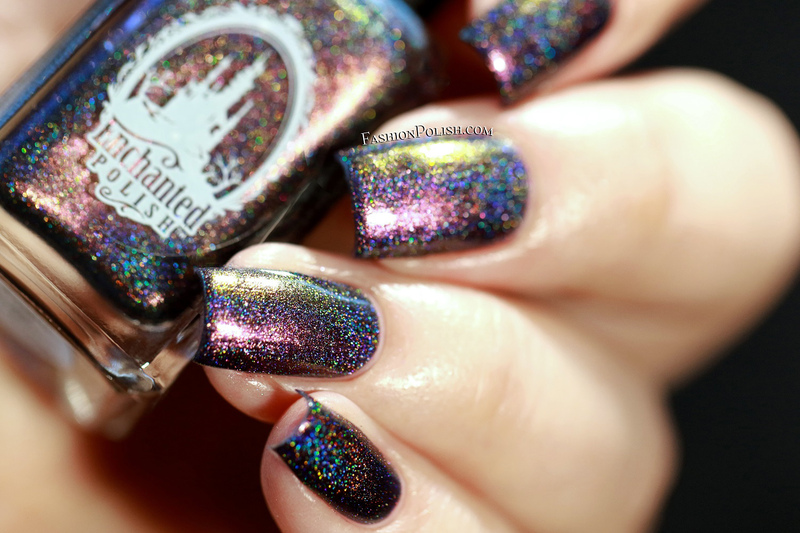 Many bottles of nail polish remover later, I am celebrating my 6th bloggaversary with my very own Enchanted Polish collaboration. 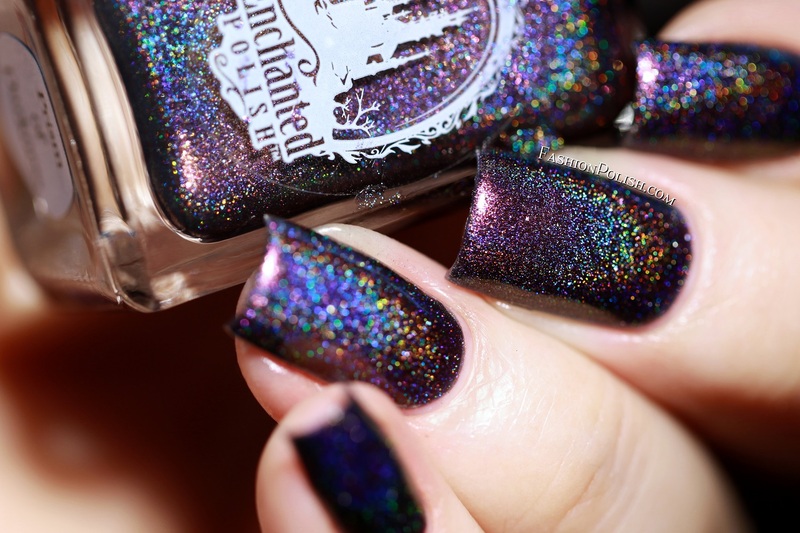 A dream come true and simply everything I love in a single bottle of polish, I humbly present to you Prism of Darkness. 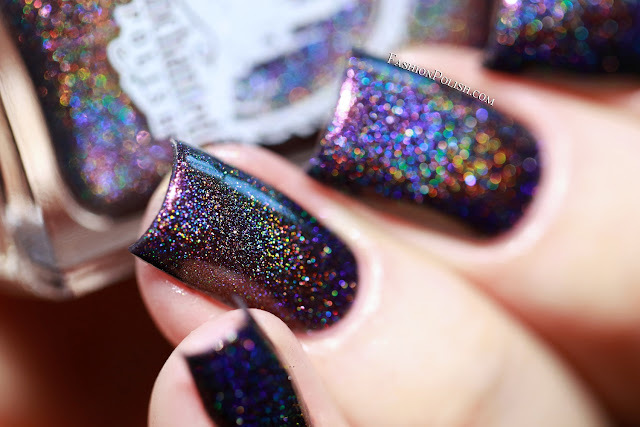 Prism of Darkness is an electric purple in a blackened base, infused with a magenta-copper-gold-green color shifting shimmer and just a touch of micro holographic flecks. 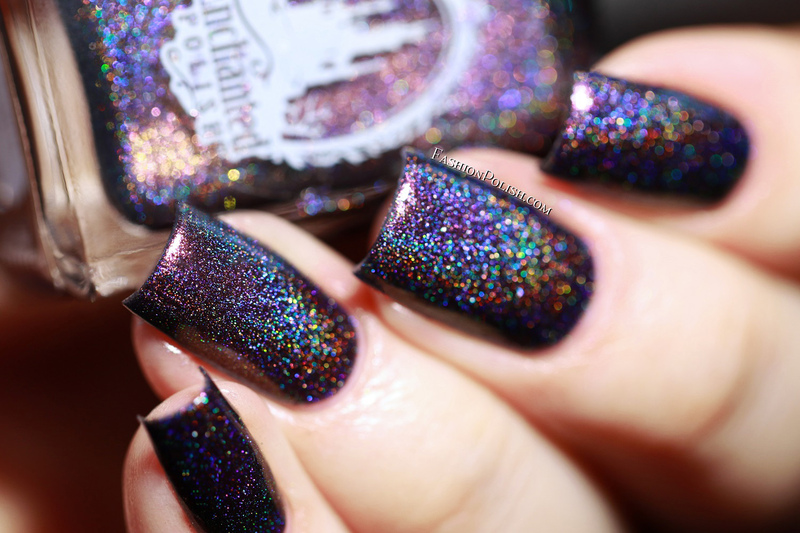 It's dark and mysterious, vampy to a fault but also simple and sophisticated somehow. 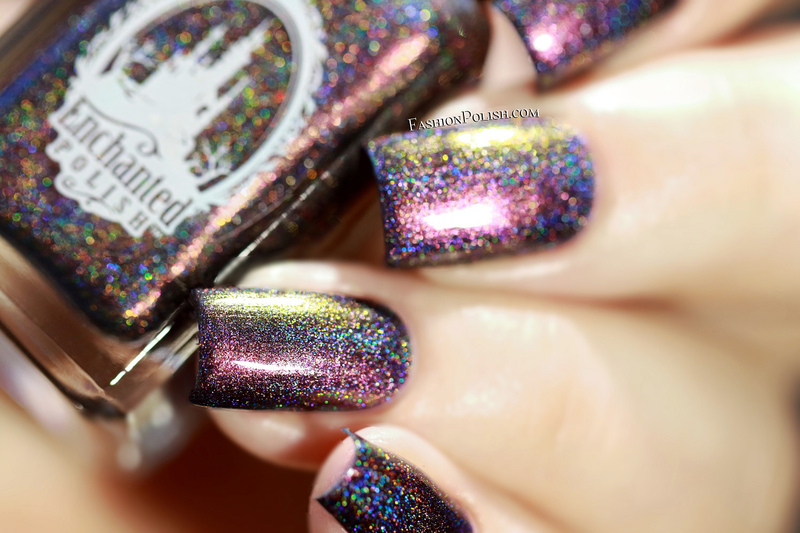 A true chameleon that evolves throughout the day. I tried to include as many swatches as possible in order to give you an accurate representation so please excuse the massive picture spamming. 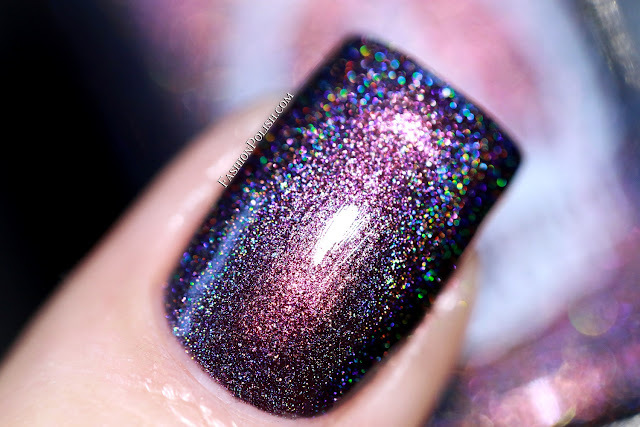 Formula was smooth, pigmented and easy to work with. 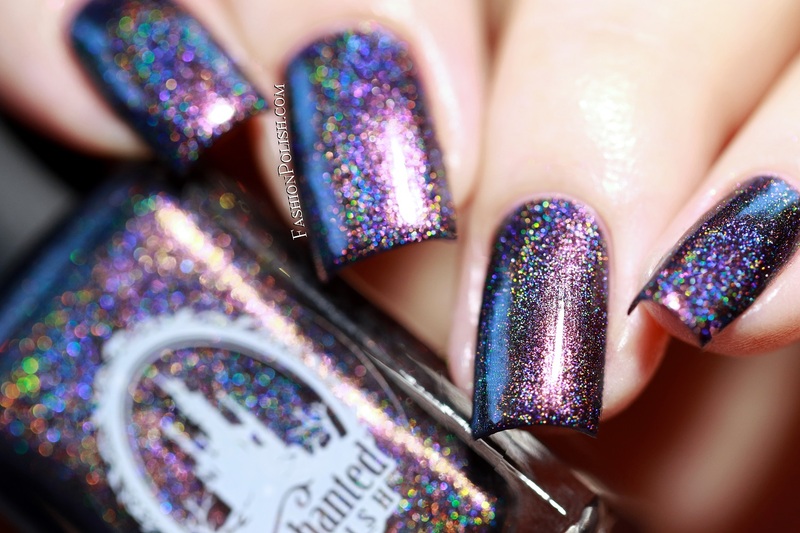 I used 2 coats plus topcoat in these swatches and they dried to a smooth, brushstroke-free finish. And now, for those of you who might be curious about the inspiration behind this collaboration, I'll have to admit how much of a physics nerd I am. I graduated in electrical engineering but that was a tough choice between electrical, mechanical and optical science (math was actually my first love, but let's just skip that for today...) Anyway, I still fondly remember my optical science classes and I couldn't have imagined a holographic collaboration without alluding to the dispersion of white light through a prism one way or another. So there you have it, my love for physics on the one hand with the prism/rainbow/holo reference and my love for dark and vampy nail polishes on the other, through purple, violet being the color that undergoes the maximum deviation through a prism (i.e. the most distorted, the most different from white light combination in the visible spectrum). Well, that's it for today, I'll share purchase information very shortly but in the meanwhile I would like to say a HUGE thank you to Chelsea for making this dream come true with her creative genius and many, many, many, many thanks to all of you for reading my ramblings for six years now, I would be nothing without you guys!